Alfa Romeo has announced that Juan Manuel Correa is joining the team as development driver. The 19-year-old American is currently competing in the 2019 F2 championship with the Sauber Junior Team, and will now take the next step in his career by entering a new role with Alfa Romeo Racing. According to the press release, “the team has a history of working with young talented individuals from around the world and is eager to begin working together”. 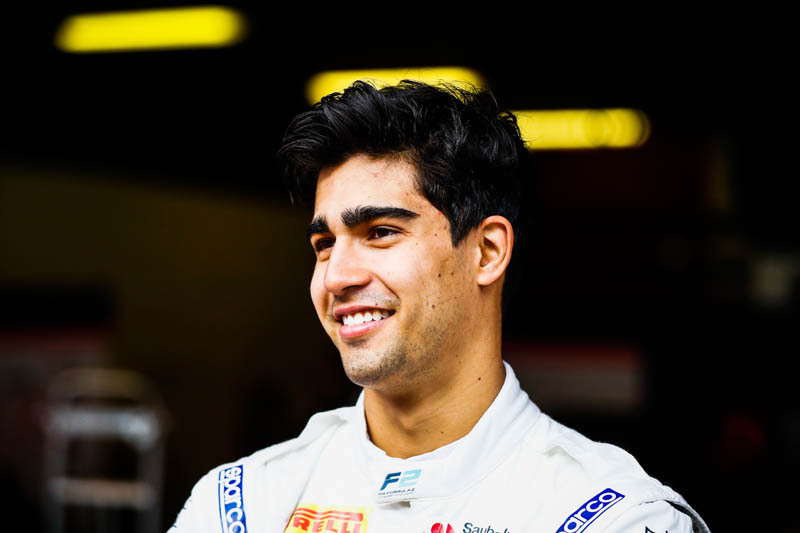 Born in Quito, Ecuador, Correa made his single-seater debut in 2016 with Prema Powerteam in both the ADAC Formula 4 and Italian F4 championships. Over the course of the campaign, he amassed three wins and claimed sixth in Italian F4 and tenth in ADAC F4. In 2017, he repeated this campaign, but mostly focusing on ADAC F4, finishing tenth once again. In August 2017, he made his GP3 debut at Spa-Francorchamps with Jenzer Motorsport, he subsequently signed with the team for the full 2018 season. Finishing 12th overall in GP3, Correa also contested the Toyota Racing Series, claiming two wins on his way to finishing fourth overall.